See what applause looks like in print from these highly respected pros. 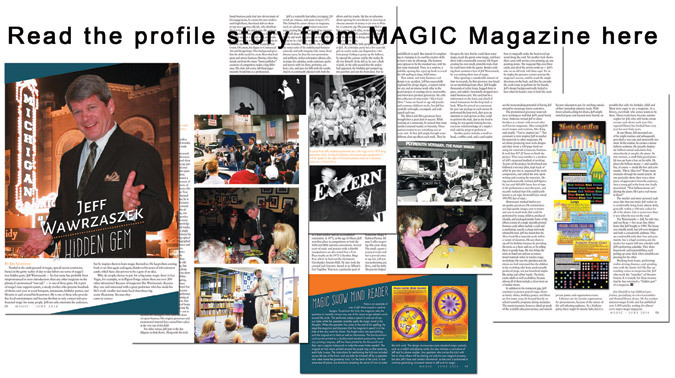 Read the profile story from MAGIC Magazine in the article posted below. "This ingenious marketing tool puts the “fun factor” into business, seamlessly blending your contact information into wonderful magical giveaways that will create multiple business-generating possibilities for the corporate and family entertainer, and keep you first in the minds of current and prospective clients. I have already taken one of Jeff’s ideas and created my own Christmas cards to send out to clients." “Over the years, I have bought almost every "customizable" magic trick / magic kit / magic workshop package marketed. Almost all of them fell short in one way or another and I didn't use them. Also, I had been purchasing more expensive magic tricks to teach in magic workshops. Finally, Jeff Wawrzaszek’s “Abra-CARD-Abra” is the first one in over 30 years that I am actually using and using successfully. I would highly recommend using these, but I really don't want my competition to start using these as well! “These amazing cards are perfect for family entertainers. These are tricks that kids can actually do, and the artwork is fun. Jeff has done all the work for you and delivers to you a set of cards that are ready to go! You will want to carry these with you always." “The best giveaways for any show...perfect for kid shows to trade shows. The tricks are unique and they stand out! Love it!" “THANK YOU for creating one of the most amazing, incredible and exciting things to hit the magic world in YEARS!!! I LOVE ABRA-CARD-ABRA. I have to admit that when I first got your email about getting together to discuss something called Abra-CARD-Abra, I was intrigued, but in truth not expecting it to be so…well, great. I looked forward to lunch with a peer who's name I was aware of and perhaps an interesting magic thingy to look at?! Instead you %#@%ing blew my mind with something that has me chomping at the bit to add to the services I offer my clients. As a straight up give-a-way, the effects you've carefully and thoughtfully created and packaged are exceptional. As a potential up-sell for corporate clients (one at each dinner setting for a night of magic themed event) they could be absolutely invaluable. As BOR items they are potentially quite profitable. As an advertising and promotional hook they are genius. The fact that everything can be customized with all of my own information is a huge bonus. Any working magician in any aspect of the business should be able to find a bunch of ways to use your ideas and promotional magic tricks to bump customer satisfaction, increase bookings, and add $$$ to their bottom line. I have already recommended this to a number of my working friends. You have my very highest recommendation for an absolutely amazing idea/package/product! I will definitely use this!" "I just saw Jeff's Abra-CARD-Abra. Oh my gosh this is BRILLIANT. I can't wait to start using it. Jeff's Abra-CARD-Abra marketing and back of the room sales techniques are by far the best I HAVE EVER SEEN!" "I've been performing in the fair and festival market around the country for more than 20 years. The best advice I could give anyone who wants to stay busy as an entertainer is "be memorable!" Jeff's Abra-CARD-Abra giveaways are a surefire way to make that happen! Not only are they "mini marketing pieces," they are fun giveaways that will be kept and played with for months, possibly years!" Brilliant stuff, Jeff!" "In the age of websites and social media marketing, Jeff Wawrzaszek's Abra-CARD-Abra will keep you connected to your customers in a way Twitter & Facebook cannot touch. A marketing idea that keeps you and your contact information front and center, while providing an opportunity to build a personal relationship with the buyer and their kids. Powerful Stuff! "Jeff, Received your book today in the mail. I am blown away - and I have not even looked at the CD yet. I have been doing family shows for 15 years and have all the marketing stuff from all the others - some good, lots bad, a few great ones - but nothing as fantastic as what I'm seeing here. I read the testimonials from people I know and trust (all of them, strangely enough), but if Jim Kleefeld (I have all his products), Silly Billy (and his stuff too), and my good friend, Murray, all say this is great, then who am I not to agree?! Even without those endorsements I would have come to the conclusion that this is the best laid out, most thought out, and, willing to bet, the most EFFECTIVE marketing tool I have ever seen. Thank you so much for putting this out to the magic community. I am in awe of your talents. Cheers!" "The tricks are simple, but effective; the artwork is top notch. This is a great investment for the working professional as well as the part-time performer." "Giveaways are great and Jeff's are among the very best that exist. Great ideas, great instructions, great artwork, and excellent motivation! This is a pleasurable value!" "I wanted to compliment you on such fine products. 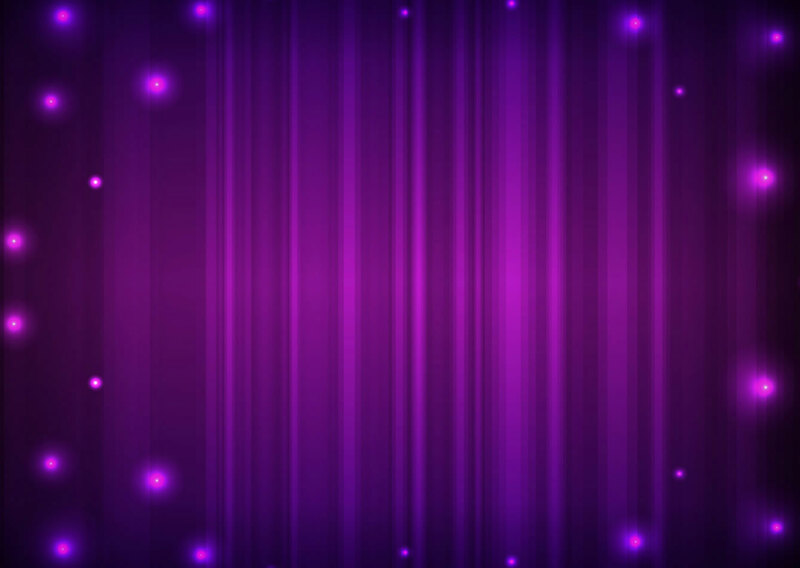 I have purchased your Abra-CARD-Abra, and most recently, The Optical Billusion. All I can say is WOW. The level of thought, design and planning that went into these products is simply amazing. If I had to go out and hire a graphic designer, the price would not be affordable for an entertainer. The fees you are charging for these products are very reasonable. The look and design will help me stand out and show I care about my clients and business." Your level of customer service is great and you followed through to make sure the files were received and worked. "Jeff Wawrrzaszek has a system that blew me away for finding work as a magician. Look we all want to get a full calendar of bookings, that doesn't happen overnight and this system doesn't promise that...however it will deliver more work over time than any other from out there. He teaches you the potential touch points you need to pay attention to at every show. He teaches you how to stay in contact and how to improve on branding you as the magician to hire the next time the opportunity arrises. Jeff performs 400 shows a year and he's sharing with you exactly how he makes a living NOW, not how he made a living in the past...this is the real stuff of marketing specifically for the magician. GET THIS SYSTEM and it will pay for itself in one show." "Jeff, I am really excited about the new Discover a World of Magic card for library shows! The artwork is top-notch, and your service is second to none. I love the fact that this trick appeals not only to kids but also to their parents and, most importantly--the librarians as well! This is a true win-win situation with a trick that promotes not only me but the library, too! Your cards are a wonderful marketing tool that really help to make performers look professional; plus, they add a ton of value to any booking!" *You may click here to read the story. Posted with permission of MAGIC Magazine, © MAGIC Magazine 2014.